Follow us on Twitter for lineup news, player inactives and more! 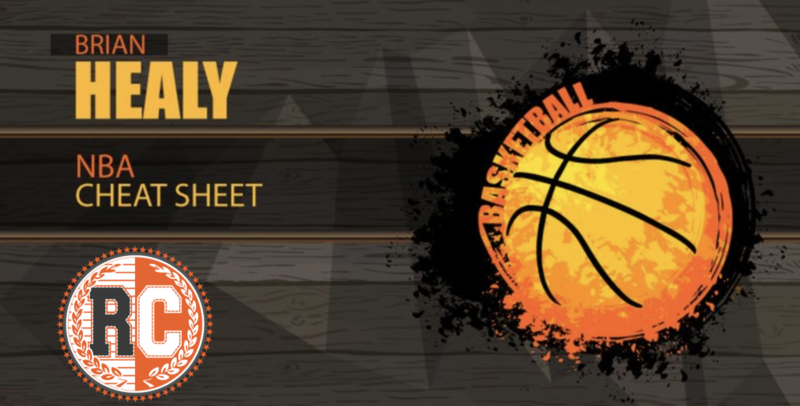 Welcome to the 2018-2019 NBA Cheat Sheet, where we look to build on a terrific MLB season, NFL season, and an awesome 2017-18 NBA season. This is the most excited I have been for an NBA season in a long time in terms of DFS and betting, let’s get after it! If you’re not familiar with my cheat sheets, I will have a tiered cheat sheet with three tiers of players (each pricing tier), my favorite games to target and which players in said games, and of course my “Today’s Edge” section, which covers my edge, my top 6x (players I think will exceed 6x in value (point per salary) picks, and the players I will have the most exposure to on the slate! Note: Best viewed on mobile in horizontal view. Healy may update players throughout the day based on lineups and more. Be sure to check back before lock!